now - February 8 - SMFC Ed Foundation Read-A-Thon - donate HERE! March 1 - Jump for Heart! 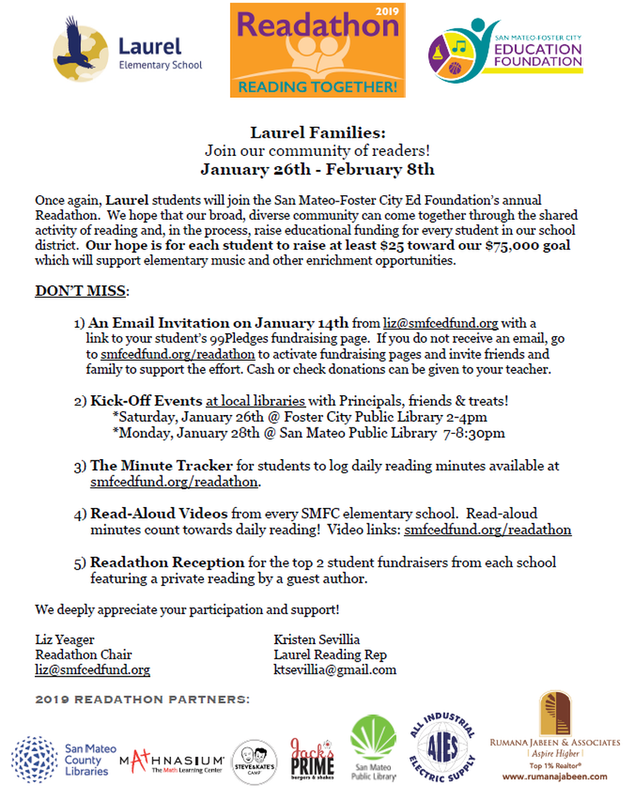 The Readathon is almost over and we've raised $56,000 from across the District! Students can still send out pledge requests to reach our $75,000 goal. The top two fundraisers from each school will be invited to a reception with children's author Deborah Underwood. Go to smfcedfund.org/readathon to access your pledge page, watch read-aloud videos and track minutes. ¡El Readathon está a mitad de camino y hemos recaudado $ 56,000 en todo el Distrito! Los estudiantes aún pueden enviar solicitudes de compromiso para alcanzar nuestra meta de $ 75,000. Se invitará a los dos principales recaudadores de fondos de cada escuela a una recepción con la autora infantil Deborah Underwood. Vaya a smfcedfund.org/readathon para acceder a su página de compromisos, ver videos en voz alta y hacer un seguimiento de los minutos. DINO-MITE Book Fair Thank You! Many thanks to co-chairs Barbara Sibley and Michelle Pauling for running last week's DINO-MITE Book Fair! Also special thanks to all of the volunteers that helped with crowd control and loss prevention! Opening Night and Cookies & Storytime Night were fun, and the sales were awesome! 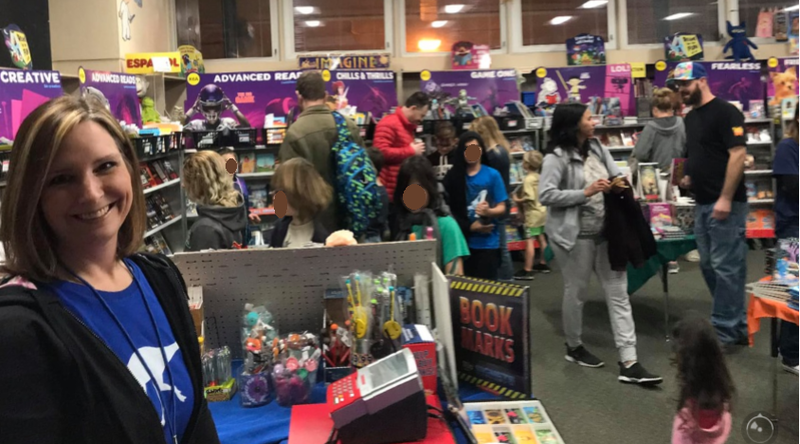 With over $16,000 in LAUREL FAMILY sales, the Book Fair made $7,400 in Scholastic credit that will go straight to the Laurel Library to be spent on books that will benefit ALL students at Laurel! Many thanks in advance for Veronica Yee and Mary Orosz for stepping up to responsibility of running the Book Fair next year! YOU'LL BE GREAT! PRACTICE JUMPING ROPE! 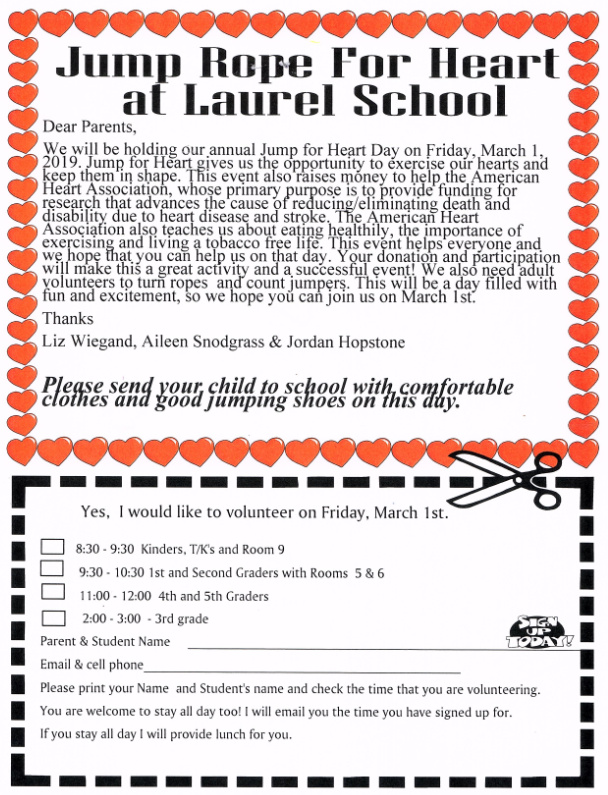 JUMP ROPE FOR HEART IS COMING MARCH 1ST! 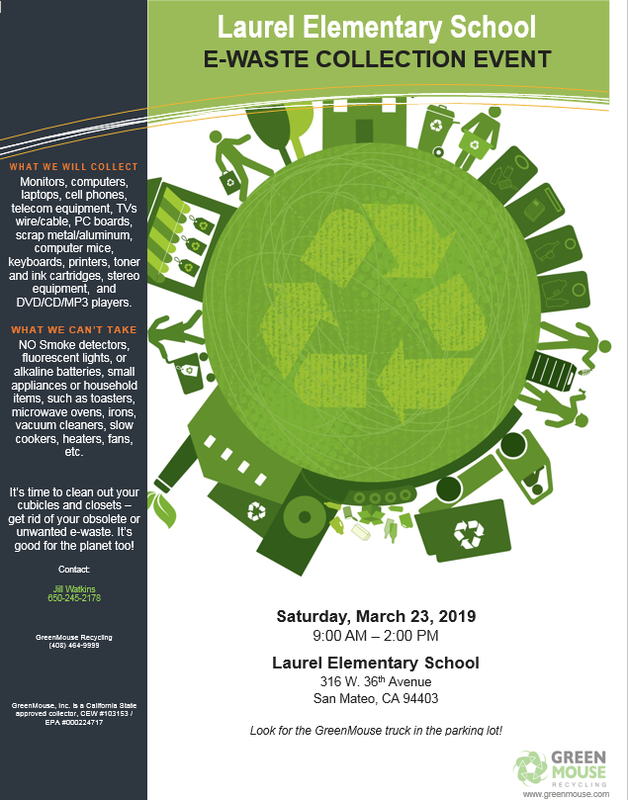 Start saving your electronics for LEAF's annual e waste drive on Saturday, March 23! 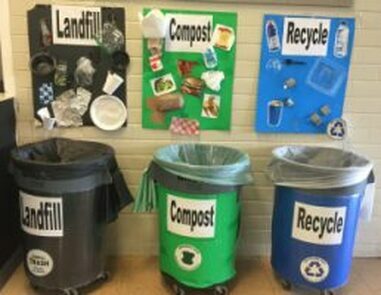 We need an active PTA for fundraising, events, assemblies, Art in Action, Art & Science Day, and much more. This is where you come in - we need 12 volunteers a year step up to serve our school and families by serving on the PTA board! 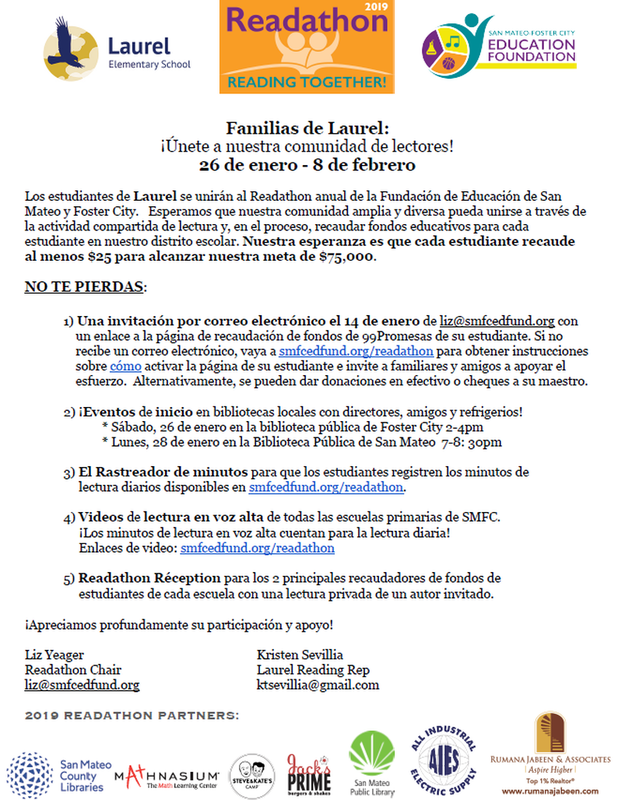 ​Please email laurelPTA.parliamentarian@gmail.com if you would like to help with this important task! Lunch runs 12:30 - 1:30 pm. Snack is between 10:30 - 10:50 am.